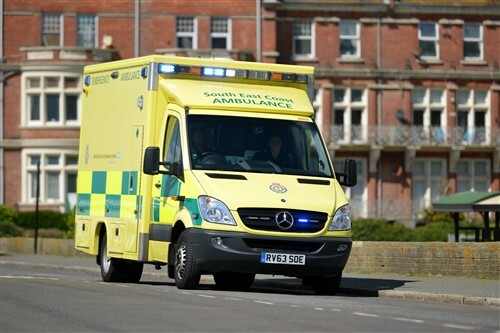 A boy is being treated by ambulance staff after being hit by a car in Margate today (October 5). Kent Police received a report of a collision involving a pedestrian and a car at 4.05pm. Officers attended the scene in Ramsgate Road at the Victoria Lights. The boy received injuries and is being tended to by paramedics at the scene. A witness said the lad was conscious and talking. South East Coast Ambulance service spokesman said the young boy had been taken to QEQM Hospital for further checks and treatment but his injuries are not believed to be serious. The car driver was in right turn to collage road .isuddenly he drove to Ramsgate Road in red light and hit that poor boy .